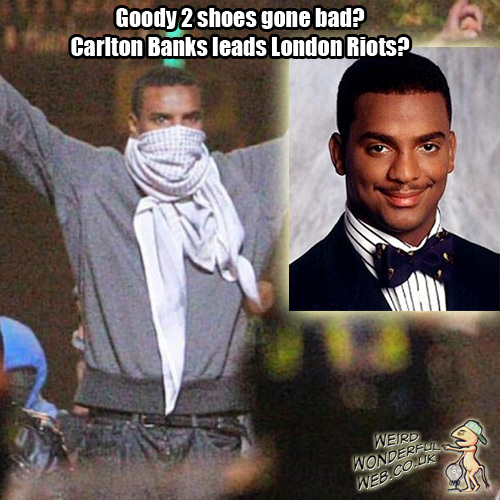 Weird Wonderful Web: London 2012 Olympics should be a riot! 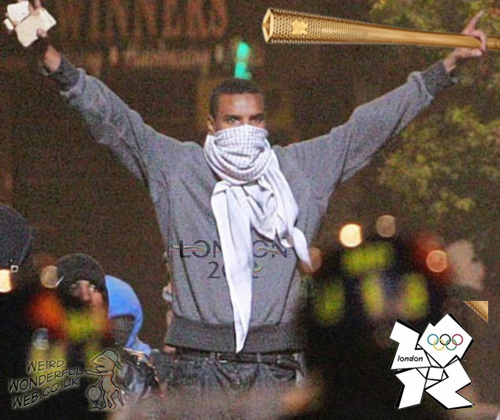 The London 2012 Olympic torch is a rioters favourite. If you get the chance to be the torch bearer, you have the perfect excuse to run down the street with a solid metal, baseball bat shaped object for smashing stuff along the way. But if that wasn't handy enough for your friendly local rioter, it comes complete with a constantly lit flame on top for all your spur-of-the-moment arson urges. Now I know the police have released a lot of images of rioters/looters in the hope that the public will be able to identify the culprits and report them. Well, I don't know if it's just me, but I'm pretty sure the guy in the grey hoody is none other than the Fresh Prince of Bel Air's cousin, Mr Carlton Banks.